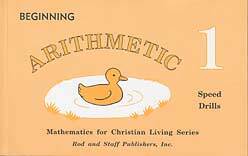 This series is designed with the following goals in mind: (1) to emphasize proper Biblical values; (2) to teach useful number facts and skills; (3) to give a balanced emphasis on concepts, computation, and applications; (4) to enable the pupil to do the lessons with a minimum of help from the teacher; and (5) to include reading or reasoning problems that involve a spiritual lesson, a Biblical principle, a challenge, or some usefulness in everyday life. 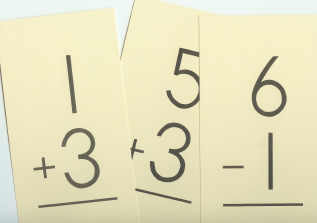 Number facts and skills are taught by the traditional method. The goal is to prepare the student to be a laborer in the kingdom of God and to the glory of God. Realistic problems from everyday life are employed. 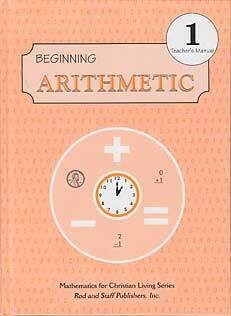 Many of the problems are arranged horizontally, which will help the student to develop mental arithmetic skills. 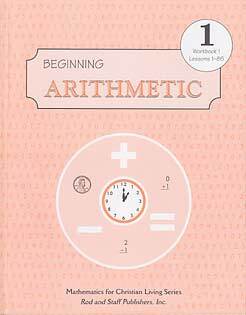 The series was written with the belief that it is effective to teach one mathematical operation continuously over a several-week period (mastery approach) rather than studying one concept today, another tomorrow, and so on and then repeating the cycle (spiral approach). A strong emphasis is placed on mastery of skills with an endeavor to provide sufficient drill so the average student may accomplish this. 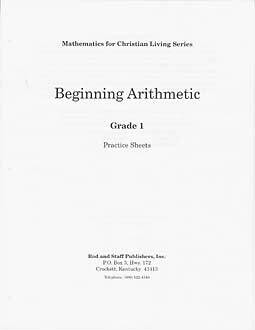 Extra practice sheets are included, usually in the form of blackline masters, which may be copied by teachers as needed to give additional drill. Speed drills are provided also, emphasizing accuracy first and then speed. 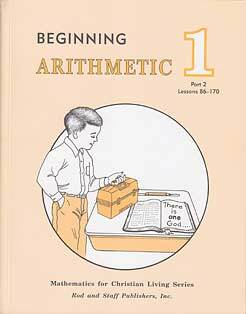 The lessons for the first two grades are in workbook form. 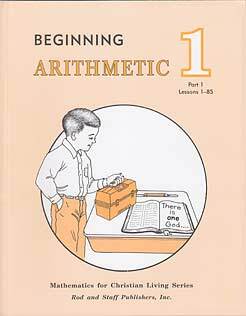 Grades 3 and above are in reusable, hardcover-book form. The pupil's text is included as part of the teacher's manual. 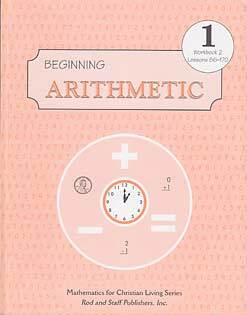 Note about Algebra: although grades 7 and 8 introduce some algebraic concepts, and some users have felt that to be sufficent preparation for taking Algebra I, it is not designed as a thorough pre-algebra course. 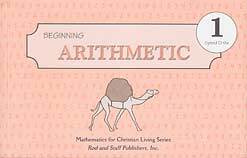 Rod and Staff is developing an Algebra course, but it will take several years to prepare. View Scope and Sequence Chart. 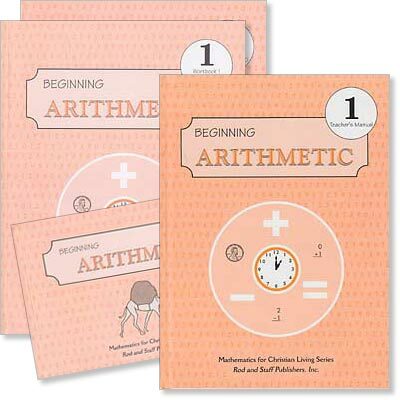 To see the table of contents and sample lessons, click on the curriculum sets below.